A Soft Gift From ShapeRex. A brand new freebie Dashboard. 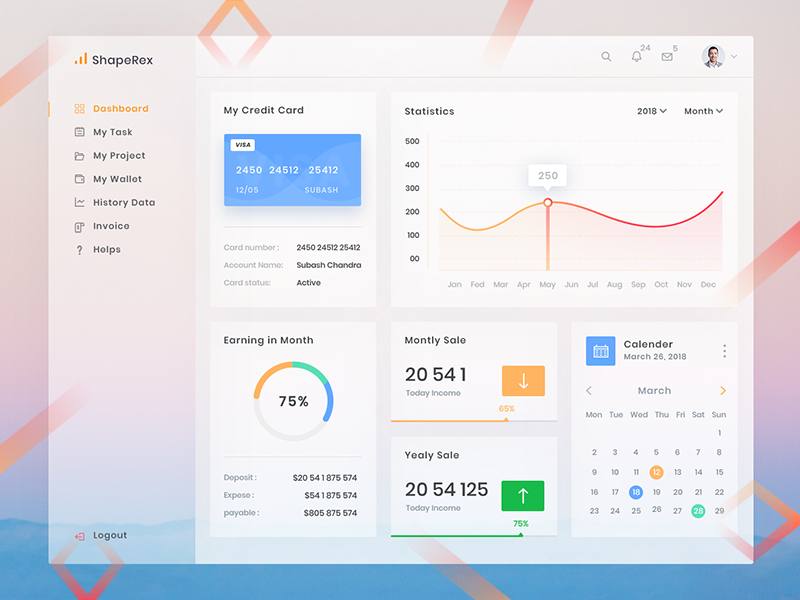 This is an experimental Dashboard Template for Company Earning System’s Admin Panel. Let me know, what do you think? As always feedback is much appreciated.